I read today of the death of Mary Ann Mobley, the former Miss America. I wrote about her in February 2013. Back in 1959, She was the most beautiful woman my eight-year-old eyes had ever seen. It’s true what they say about time passing more quickly as you get older. The last twenty years especially are like a book that I just skimmed through. I wish I had read every line more carefully. I may had missed some hidden meaning in my race to the next chapter. There was a time, though, when I thought being grown up was so very far away. My cousin recently shared a photo that I had never seen before. I love this picture. 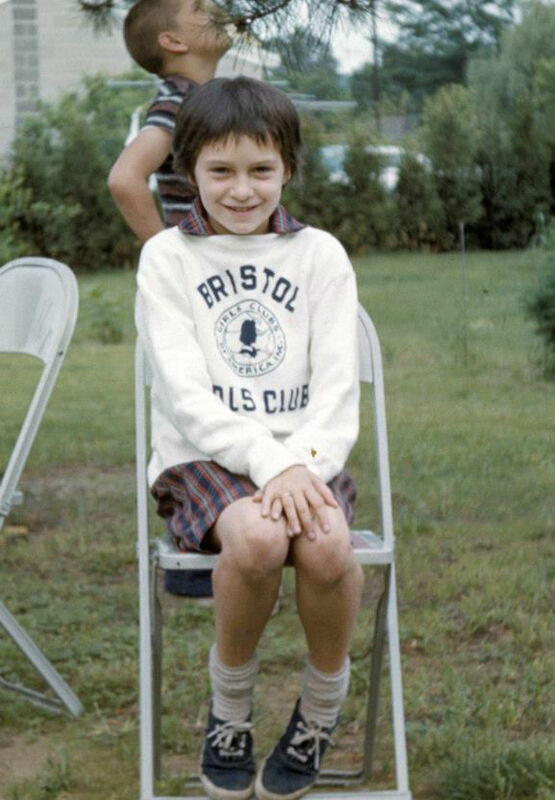 I love my ragamuffin hair, my Bristol Girls’ Club sweatshirt, my blue sneakers with droopy socks. I even love the plaid shorts with matching shirt – because it reminds me of my mother, who loved to dress me in plaid, which I hated. I remember that shorts set. The shirt was a white polo with a plaid collar and placket. I especially love the eight-year-old sweetness I see in my crossed hands and pigeon-toed self-consciousness. That little girl with the shy smile thought she would never grow up. I recall exactly what I thought grown up was. I couldn’t even fathom twenty. I knew what happened when you were nineteen. Because I had witnessed it. On September 6, 1958, I watched the Miss America pageant. 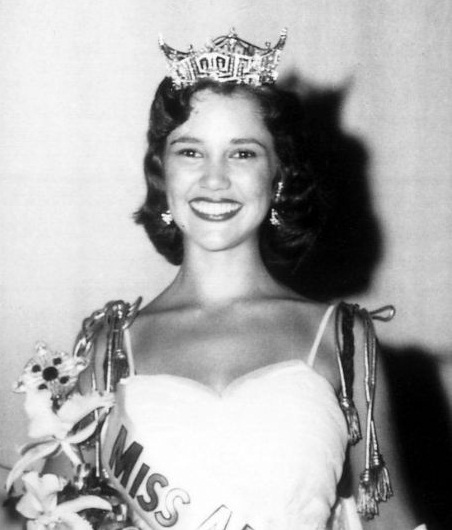 Mary Ann Mobley was crowned Miss America 1959. She was the prettiest woman I had ever seen. That’s when I knew what I wanted to be. But it was so very far away. 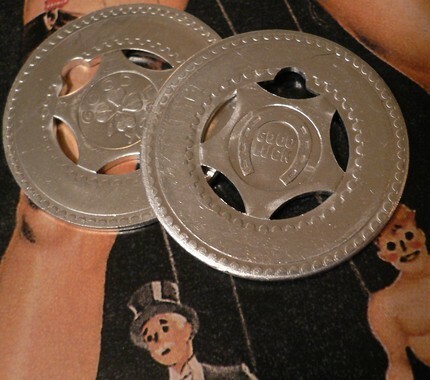 The next summer at the penny arcade at Lake Compounce Amusement Park, I memorialized my goal. 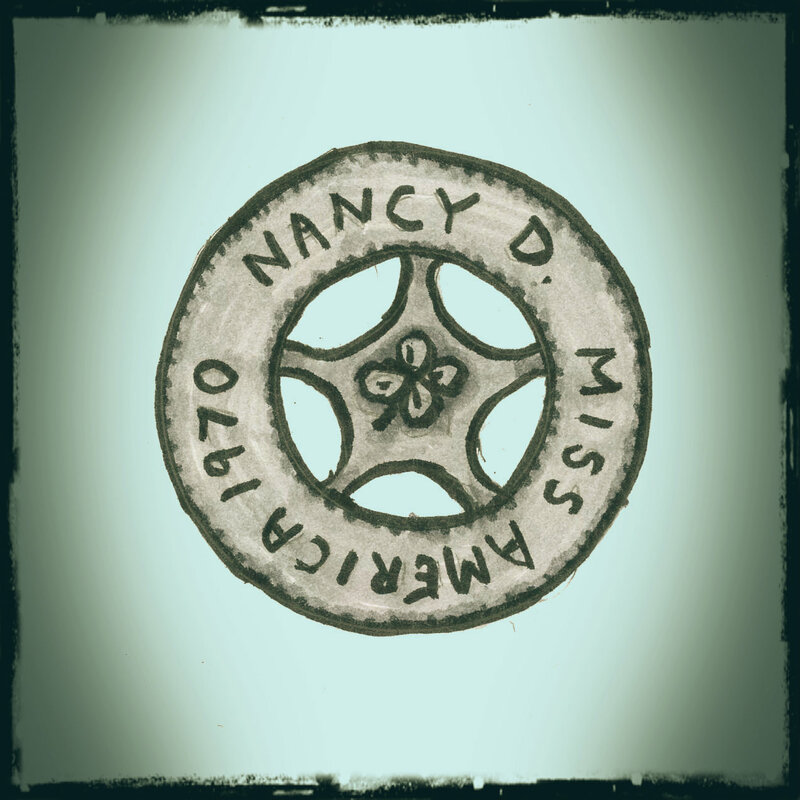 There was an engraving machine that made little medallions. It was very expensive – fifty cents I think. But I had saved for this occasion. Yes, 1970. So distant I could hardly imagine it. I would be nineteen. I would be Miss America. But somehow 1970 got by me. And many subsequent years. Forty-three since I was nineteen. And fifty-four years since I was that little elf-child who wanted to be Miss America. But with my enduring and complete adoration of the accoutrements of beauty: makeup, fashion, hair – I realize that I am still that little girl, still dreaming of being Miss America. Maybe sixty-two will be my year. Lovely homage. 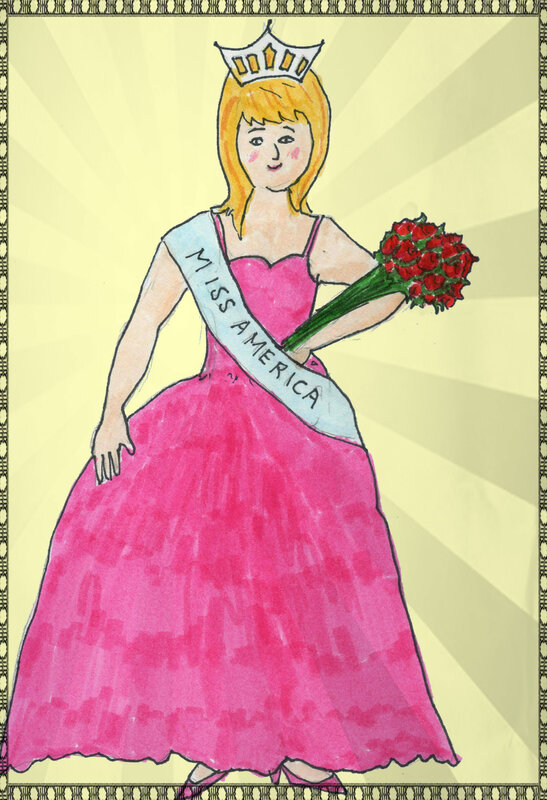 I remember when the highlight of the year was the Miss America pageant. I was not et 19 way back then. We would make it a special event, and invite friends and family to watch with us. Thanks! It’s a sweet memory for me, and I hope someday to find that little token. I think I will put it on a chain and wear it as a necklace. a sweet looking little girl. That’s my favorite childhood photo of myself – and I didn’t even know it existed until two years ago. My cousin sent it to me, and I was surprised and delighted. I wasn’t exactly a photogenic child, but somehow it’s perfect. Lovely post. I always thought Mary Ann Mobley was beautiful. Not a bad role model. She took my breath away! A very sweet post. Thanks! My mother took me to one of Mary Ann Mobley’s Miss America appearances. I got to shake her hand and she gave me an autograph photo (which I have since lost). I was only three or four. I thought she was a princess. Thanks. I love that photo, but I really wasn’t a cute kid. I like the way I look now though. At 63, you could say that I am an extremely late bloomer. How fast life goes. One moment we want to be nineteen and the next moment that age is way back in our rearview mirror. That little girl and teenager are still inside you, making you who you are today. Happy birthday. I am sure you wear 63 with a beautiful smile and twinkle in your eye. A toast to all the late bloomers everywhere.